By CNN'S MANU RAJU AND TED BARRETT CONTRIBUTED TO THIS REPORT. (CNN) - William "Bill" Barr, a former attorney general under President George H.W. Bush, is emerging as a consensus candidate to succeed Jeff Sessions as attorney general, two sources familiar with President Donald Trump's thinking tell CNN. A third source familiar with the process said if Trump offered the position to Barr, he would be willing to accept. Trump's consideration of a new attorney general comes during a critical time for special counsel Robert Mueller's investigation, of which the next Justice Department chief will inherit oversight. Barr, 68, has previously offered mixed opinions about the investigation, having praised Mueller but also publicly criticizing political donations made by several members of his team. 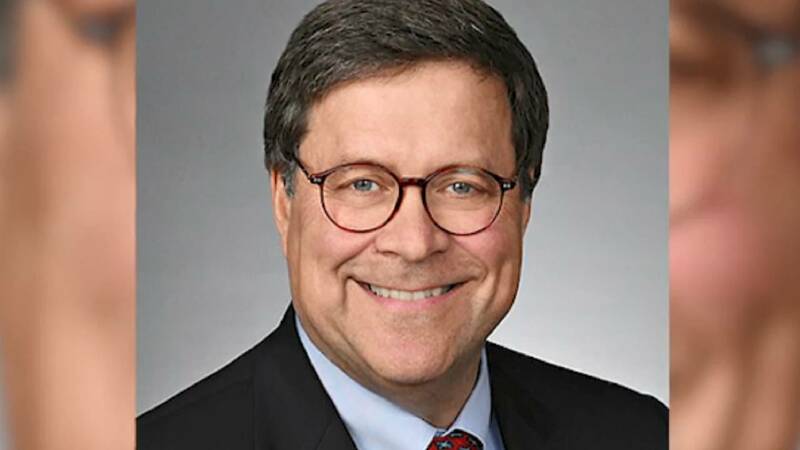 The Washington Post first reported that Barr is the leading candidate. Sources cautioned to CNN, however, that Trump makes the final decision. Barr served as Mueller's boss when he was attorney general in the early 1990s and Mueller led the criminal division at the Justice Department. The former attorney general hasn't shied away from weighing in on Mueller's investigation. He expressed confidence in Mueller early on and suggested the investigation wouldn't devolve into a "witch hunt," but he also has shared some disappointment when asked by The Washington Post last year about the donations that some of Mueller's team members made to Democrats. "In my view, prosecutors who make political contributions are identifying fairly strongly with a political party ... I would have liked to see him have more balance on this group," he said in July 2017. Barr also defended Trump's decision to fire former FBI Director James Comey, who was criticized for flouting Justice Department protocols when he announced in July 2016 that he wouldn't recommend charges against Hillary Clinton for mishandling classified info during her time as secretary of state. "I think it is quite understandable that the administration would not want an FBI director who did not recognize established limits on his powers," Barr wrote in a Washington Post op-ed in May 2017. "It is telling that none of the president's critics are challenging the decision on the merits." The prospect of Barr taking over the Justice Department was well-received by some leading members of Congress in both parties Thursday. Senate Majority Whip John Cornyn, a Texas Republican who sits on the Judiciary Committee, called Barr an "interesting pick." "I think getting the next nominee confirmed is going to be a little bit of a challenge," he said. "(Barr) may be the kind of person who would be easier to confirm." Sen. Dianne Feinstein, the top Democrat on the Judiciary Committee, said she was unfamiliar with Barr's views but encouraged by a suggestion that he was an "establishment" Republican. "I would hope (Trump) would pick someone who would be by the book and not by the politics," Feinstein said. CNN reported late last month that Barr was among several potential candidates to succeed Sessions. At the time, CNN reported that Trump was considering tapping the assistant attorney general for the Justice Department's Antitrust Division, Makan Delrahim, to succeed acting Attorney General Matthew Whitaker. At the time, White House officials said Trump was in no rush to nominate a permanent successor to Sessions, whom he fired November 7. Instead, Trump was telling confidantes he was happy to leave Whitaker in place while he mulled his choices. Other names that have been floated as possible replacements for Sessions include Rep. John Ratcliffe of Texas, a former federal prosecutor, as well John Michael Luttig, a former US Court of Appeals judge, Justice Department official and current general counsel at Boeing. One former White House official said late last month that Luttig was a strong possibility, though he had not met with the President. A second source close to Luttig told CNN he was considered for the role of FBI director after Comey was fired in spring 2017.